The Global Fund ranks among the top nine global health organizations with respect to its efforts to promote gender equality, according to a study conducted by Global Health 50/50, an independent initiative housed by the University College London Centre for Gender and Global Health. A report on the study was released on 8 March. The study found that only a select group of the world’s top global health organizations have placed gender equality at the center of their operations, both programmatically and institutionally. The study covered 140 organizations from the U.N. system, bilateral and multilateral development institutions, philanthropic organizations and funders, civil society, public-private partnerships and the private sector. gender parity in governance bodies and senior management. The Global Fund rated highly in all areas except for gender parity in senior management. The Global Fund was one of only six organizations in the study that stated they were addressing the specific needs of transgender people. The other organizations that scored in the top echelon included GAVI, UNAIDS, Save the Children International and BRAC, a development NGO working in Asia and sub-Saharan Africa. only 20% of organizations have achieved gender parity on their boards. 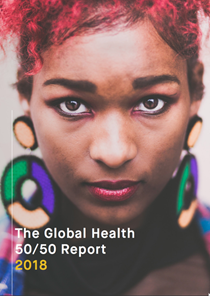 In its report, Global Health 50/50 made several recommendations, including that organizations should make a more concerted effort to address issues such as early forced marriage, gender-based violence and sexual exploitation.